Make it Spooky! Make it Fun! Make it Yourself!!!! Cut slits about an inch apart. Draw the face of Dracula with the black marker. 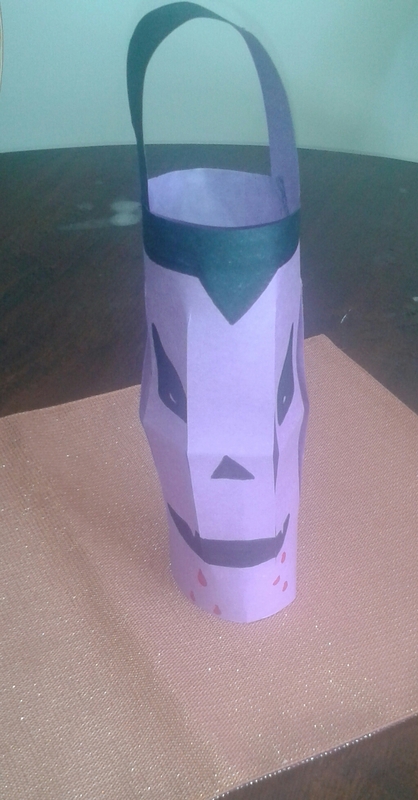 Add hair on top and use the red marker to draw drops of blood coming from his fangs and mouth. Tape it together or glue. Cut a strip of paper from the black construction paper about an inch wide. Tape or glue the black strip inside at the top as the handle. 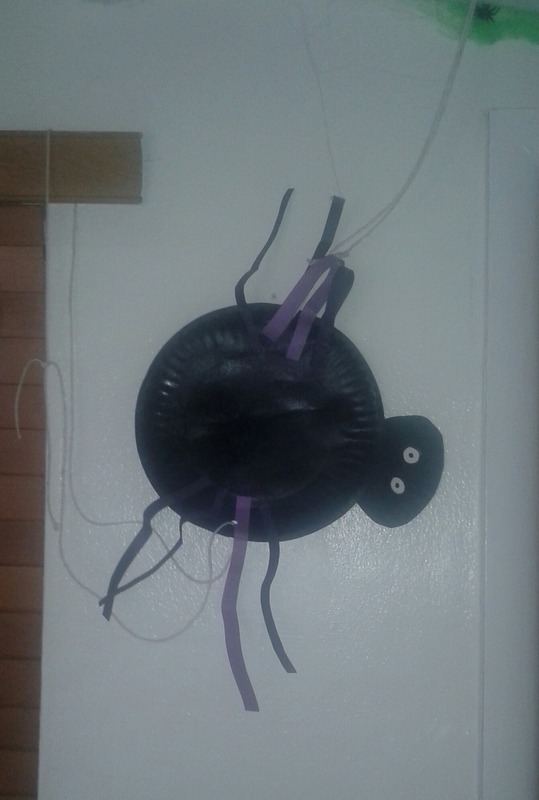 I painted 2 paper plates for each spider in black using paint. I then cut out a smaller circle as the head and glued on a pair of eyes. 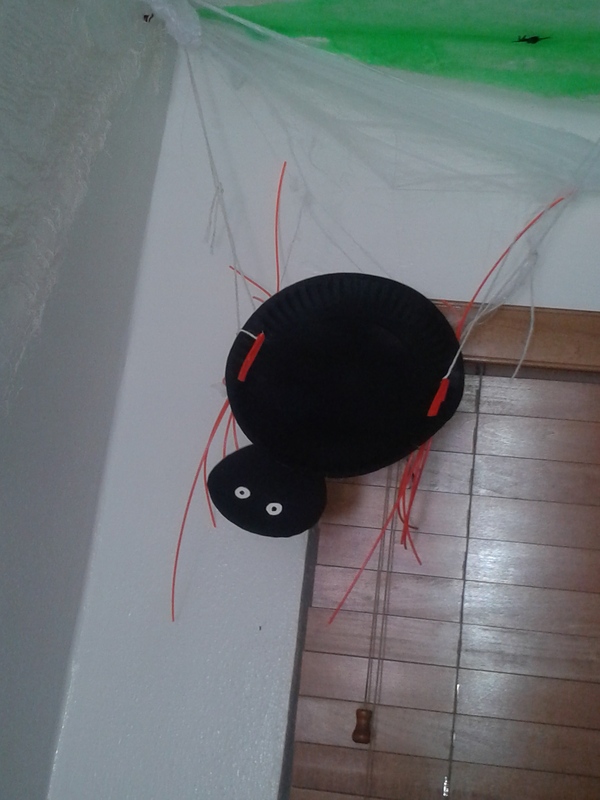 I used black and purple strips of construction paper as the legs for one spider and for the other used an orange weed chord that we had lying around in the garage. I used a hole puncher to make holes in the body and strung through cord that we had in the kitchen. Seasonal ramblings through the home, hearth and hedge. BUILD MUSCLE AND BURN FAT FAST AS HELL!! !